What Is Progressive Web Apps And How Does It Work? 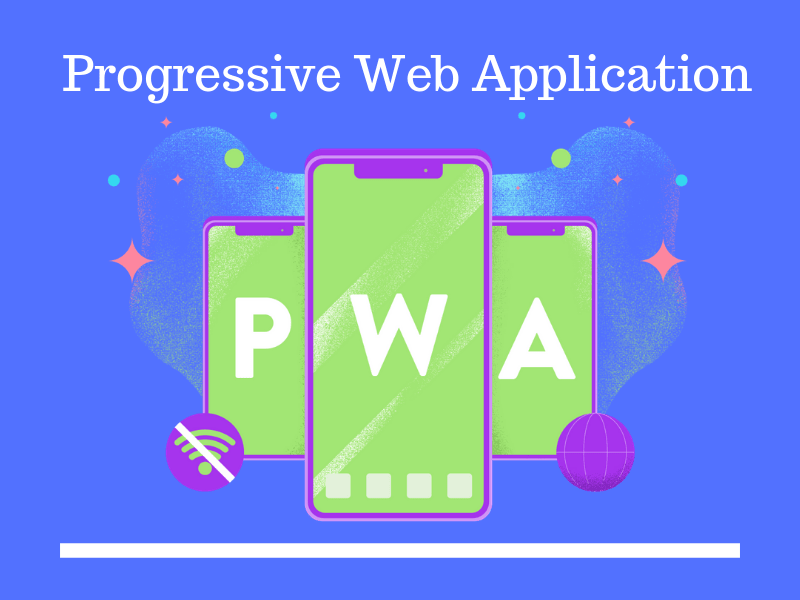 The Progressive Web Apps (PWAs) combine the best of mobile web and the mobile app experience. The native mobile app has loads of features like push notifications, offline accessibility, loading on the home screen and so on. The mobile web apps tried to bring some of the features of the apps but failed in many aspects. Take, for instance, they weren’t able to provide the push notification feature. This feature is much needed by the organizations for continued engagement with the customers. The progressive web apps answered these shortcomings and gave a much nearer mobile app like experience to the users. Many of the browsers, today, support Progressive web apps. They are fully supported by Chrome and opera. Firefox, Samsung Internet browser, and Microsoft Edge support many of its features. Apple though reluctant initially has finally jumped the bandwagon and has provided service workers on its Safari browsers. – Is reliable- It loads even when there is no network or at a low-speed network like 2G. – Is relatable- Enables to be added to the home screen giving a native feel to it. – Is linkable- the individual pages can be linked through the URLs. * What features together make a Progressive Web App? The service workers, HTTPS, web app manifest file, app shell, push notifications and background sync together help in making a progressive web app. • Intercepting the HTTPS request so that the app decides what to fetch from the cache. • Lets the user work on the page when offline. It holds on to the task until the browser gets connected to the network. This is background synchronization. So with the service workers, the PWAs can now intercept and handle network request, manage multiple caches, minimize data traffic, and save offline user-generated data till the next request. It is necessary that if an application has to be considered as a PWA, it has to be served with HTTPS. This is to ensure that the intruders cannot snoop on the contents and tamper with the communication between the browser and the website. The manifest files help the PWAs to create user experiences similar to that of native mobile apps. It controls what the user sees when the PWA is launched from the home screen. It contains metadata that is used when the PWA is added to the user’s home screen. It includes properties like web app’s name, splash screen colors and so on. In simple words, the web app manifest file is a JSON file on to which the PWA development services will add metadata of the website like the link to icons, fields for application name, information for font size, background color and so on. This also helps in the progressive web app development process to declare the default orientation of their PWA. The display mode for the PWA can also be set through the manifest file. This ensures that whatever the user has sent at the time of a bad or zero connectivity is delivered across. This is a web API that lets you defer actions until stable network connectivity is encountered. This can be implemented in the code in a straightforward manner by the PWA development services. We all know the significance of push notifications for a mobile app. They help the keeping the users engaged with the app by sending them updates. They enable the app that is not running on the foreground to alert the users that it has information that is to be conveyed. It originates from the managed remote server and is pushed to the PWA on the user’s browser. The user then taps on it to launch the app and see the details. This is made possible in the PWAs through the two APIs- the Push API and the Notifications API. The Push API helps the service worker to handle the Push messages from the managed client-side server. The Notifications API works on the PWA to display system notifications to the user. * Who needs a progressive web app? Not all services need to have a progressive web app. If your business needs a low-scale website with less content, then a responsive traditional website is sufficient. In case the users are able to easily access information from your site and it loads pretty quick, then a website is a good idea. Anyways, consult a good progressive web app development company to get to know if a PWA would be beneficial to your business. If you need an example where a progressive web app will work, we have it here for you. The best example of the PWA development services being implemented is that of the Indian e-commerce company Flipkart. They noticed that many of the users were not keen to download their mobile apps because they felt that it occupied more mobile memory space. The company then started on its progressive web app development and built the Flipkart Lite that was midway between the web app and the native mobile app. The core of any progressive web app is the ‘Add to Home Screen’ prompt. The people added it to their home screen on their mobile device. The number of visitors increased and Flipkart saw that 60% of its visitors came from launching the site from the home screen icon. And from those visitors, it had a conversion to potential customers of above 70%. The engagement numbers grew rapidly and the progressive web app proved to be a success for Flipkart. If you are in need of a PWA, hire the services of the best progressive web app development company who understand your requirements and give you fair advice. A company that has expertise in this upcoming technology can only provide good PWA development services. Though the PWA is not currently fully supported by all browsers, things are changing rapidly. It is definitely one of the exciting technologies to emerge and watch for in the future. Previous PostPrevious How to Integrate Payment Gateway In Your Mobile Application?